Vivo has launched its new smartphone Vivo X23 in a Chinese market. It comes with Waterdrop display notch, in-display fingerprint sensor, 3D Glass Body, Jovi AI, and Face Unlock, 6.41-inch display, Snapdragon 670 processor, 8 GB RAM, and 3400 mAh battery. Vivo X23 Price starts at 3,498 Chinese yuan (approx Rs 36,700). 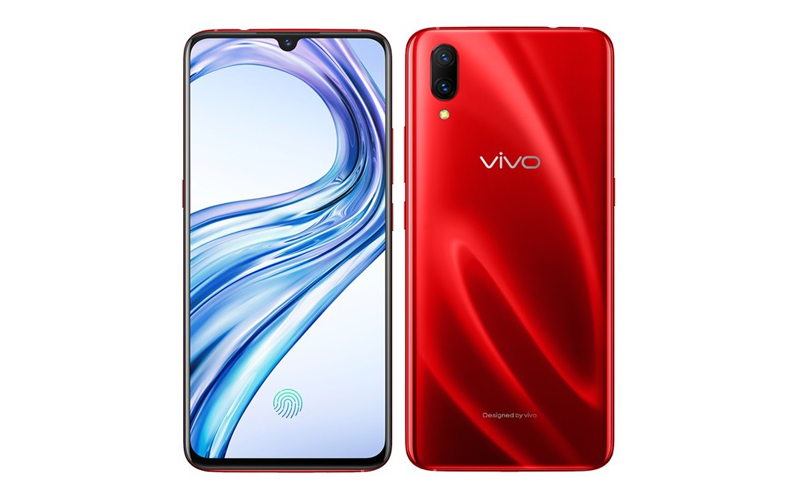 Vivo X23 has five color options Fashion Orange, Fashion Purple, Midnight Blue, Phantom Purple, and Phantom Red Color. The Dual-SIM (Nano) Vivo X23 Runs on Android 8.1 Oreo-based on Funtouch OS 4.5. It features a 6.41-inch full-HD + (1080x2340 pixels) Super AMOLED display. It is powered by Octa-Core Qualcomm Snapdragon 670 processor. 8 GB RAM / 128GB inbuilt storage. it has 3,400 mAh battery. Vivo X23 has dual rear camera setup. The Primary camera and secondary camera is of 12MP + 13MP. The front-facing camera has a 12-megapixel with an aperture of F / 2.0. Vivo X23 connectivity options include 4G VoLTE, Wi-Fi, Bluetooth 4.0, GPS, GLONASS, and OTG support.